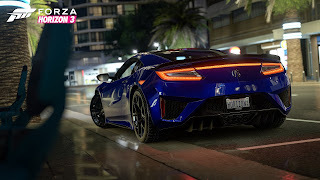 Forza Horizon 3 is the year’s best-selling, highest-rated racing game, further strengthening Forza as the most successful racing franchise on any platform this generation. Thanks to the biggest Forza launch to date, they had more than five million fans playing Forza games in September on Xbox One and Windows 10 PCs. They are so grateful for our fans and will continue working hard to deliver great content that will add to the Forza Horizon 3 experience. Arriving now, the Alpinestars Car Pack brings seven new cars to Forza Horizon 3. Leading off the pack are a pair of beloved drifting legends, the 1998 Nissan Silvia K’s and the 1990 Mazda Savanna RX-7; two of the most requested cars in the Forza community. The Alpinestars Car Pack also features a chunk of Australian racing history in the Ford Falcon XR GT, a street-legal racer in Dodge Viper ACR, and more. The Alpinestars Car Pack is included as part of the Forza Horizon 3 Car Pass, which is available for purchase in the Microsoft Store. Players can also get the pack as a standalone purchase for $6.99. One last thing – winter is coming and that means some less than ideal road conditions. They are offering players a Forza Horizon 3 Expansion Pass available at $34.99 for discounted access to two future expansions. Ultimate Edition owners will receive a discount of $10 on the Forza Horizon 3 Expansion Pass if purchased before the end of 2016. Be sure to stay tuned to Xbox Wire and ForzaMotorsport.net for more information!